Built in the old haystack, they keep some of the traditional features giving you the feeling of sleeping in an old mountain farm. 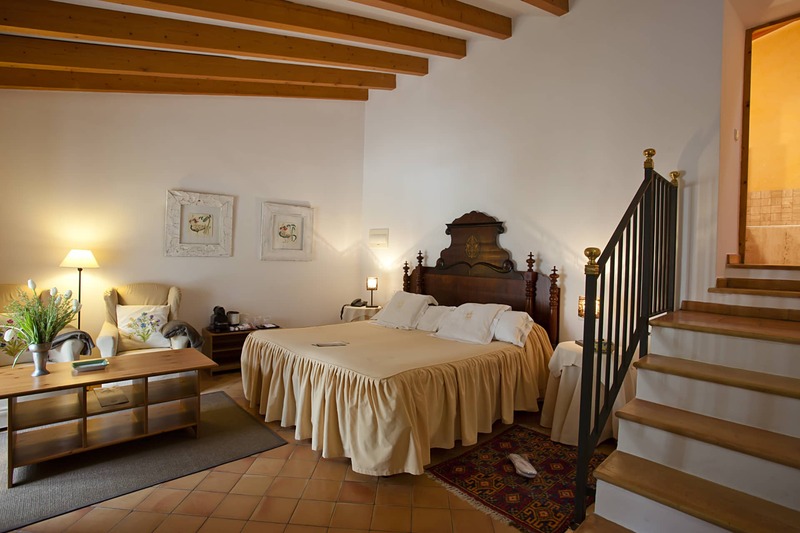 They have a small balcony or terrace with mountains views or the old XV century cloister. In some of those you can have breakfast served in your terrace. 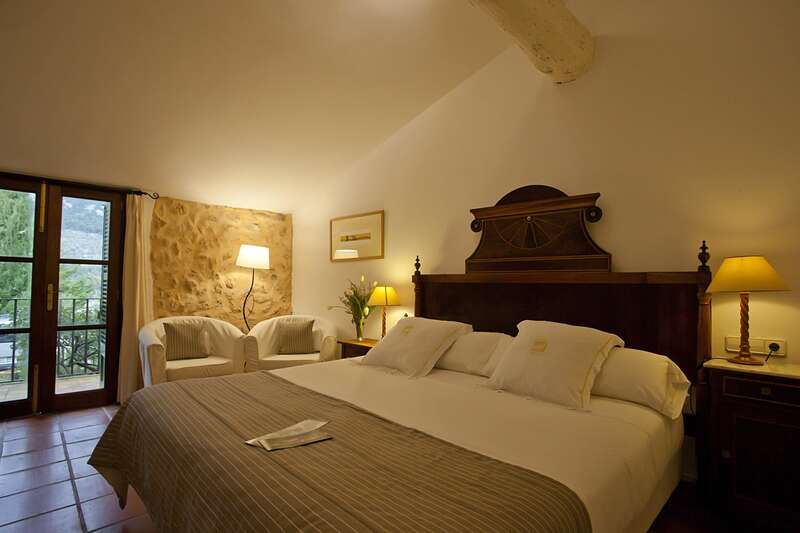 Each and every one of the rooms at our Finca Hotel Son Palou is designed with our guests’ personal needs and comfort in mind. While each standad room is individually decorated and different from all the others, all include small terrace or balcony, a private bathroom with separate shower ,bathrobes, a hair dryer, adjustable air conditioning and heating, direct-dial telephone, WiFi, satellite TV, safe, minibar, a kettle and a Nespresso coffee machine, as well as pool towels.